1. All mentioned driving schools score a success rate which at least 10% higher than the average rate. The CBR publishes regional success rate for every region. We compare all schools using the driving schools in their region. In each region exams take place using the same conditions. 2. All mentioned driving schools have more than 50 students per year. The success rate says a lot about the quality of the driving school. But only if this figure is based on numerous examinations. A high percentage, achieved in less than 50 exams is disabled and not objective. A percentage based on numerous examinations will fluctuate less. Driving school AAK has a success rate varied from average to good with a diverse student body. The variety of students will see that the success rate varies at our driving school per quarter. The reason for these changes is that in one period there can be more talented pupils than in the next period. By giving regular lessons, anxiety accompaniments and for students of all ages, the percentage can be higher in one quarter while in the other quarter the success rate may be lower again. Driving school AAK is regularly dealing with students who come from other driving schools. AAK Driving School teaches all types of learners. The quick learner but also the less learning among our student file. 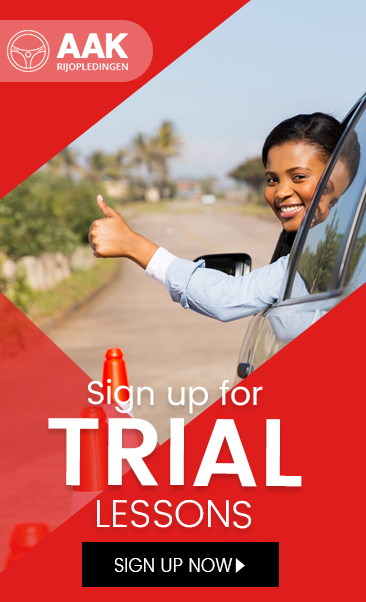 Driving school AAK want the best possible outcome for each student and pupils will not reject those likely to sink slightly earlier than the average student. Older students will be given the opportunity to get their license. Every student has to get his or her driving license whether it's at one time or there would be multiple exams required. That is the vision of AAK Driving school. At AAK Driving school we not only provide a high success rate but also quality education tailored for each student. Is the success rate is reliable? AAK Driving school is completely reliable and listed on CBR website. The success rates can be proved with additional details if needed.